Beth joined Christopherson, Anderson, Paulson, and Fideler in 2015 and practices in the areas of civil and commercial litigation, family law, personal injury, and corporation/business law. She was raised on her family’s farm near Gayville, South Dakota. Beth received her bachelor’s degree in Health Care Administration from Mounty Marty College in 1995. Before entering the private practice of law, Beth spent several years working in business specializing in Human Resources Management in both South Dakota and Colorado. 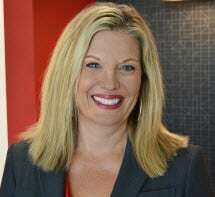 After returning to South Dakota in 2004, she obtained a Master of Business Administration degree in 2006 and a Juris Doctor degree in 2009 from the University of South Dakota. During law school Beth was a member of the South Dakota Law Review, serving both as the Note and Comment Editor and a published student author. Beth is currently a member of the State Bar of South Dakota, the South Dakota Trial Lawyers Association, and is admitted to practice before the United States District Court for the District of South Dakota. Outside her office, Beth has served on the board of directors for several non-profit organizations, including the River City Domestic Violence Center, Junior Achievement, and 4-H. Beth and her husband, Max, have three sons.